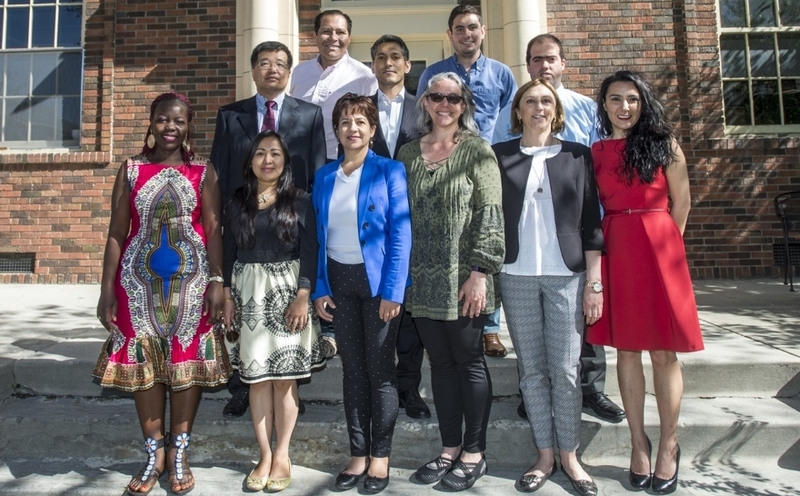 In early April, the English Language Institute welcomed the 2017 Hubert H. Humphrey Fellowship Program cohort to UM's campus. The Fellows, sponsored by the U.S. Department of State Bureau of Educational and Cultural Affairs, will receive intensive English language training through ELI before departing for their non-degree graduate studies at host universities throughout the United States. The Humphrey Program, which was established in 1978, "brings young and mid-career professionals from designated countries to the United States for a year of non-degree graduate-level study, leadership development, and professional collaboration with U.S. counterparts,"1 according to the U.S. Department of State. The English Language Institute at the University of Montana provides intensive English language training to Humphrey Fellows before the start of their year of academic study, and is the only program in the country to provide long-term English language training for this program. This cohort of Humphrey Fellows will receive language training, service learning experiences, and the chance to explore Montana from April through August. To learn more about the ELI cohort of Humphrey Fellows and other ELI programs, please visit the Meet the Fellows page. To learn more about the Hubert H. Humphrey Fellowship Program, please visit the program website at https://www.humphreyfellowship.org/.